It is no longer a secret to anyone the fact that drugs are harmful to your health. The problem is with the fact that the majority of the people are either uneducated on the matter or poorly educated. Knowing that drugs are dangerous is one thing and understanding how they function, the symptoms they cause, the risks associated with long-term use and how addiction is being triggered is an entirely different thing. At Continuum Recovery Center of Colorado, we consider education to be an essential tool in the fight against drugs. And every Denver treatment center battles the same problem: the people’s lack of education on the subject. For a significant portion of the population, especially the younger one, misconceptions also play an important role in steering the individuals on the wrong path. “Nothing bad will happen if I only do it once” – Absolutely false. Crack cocaine, for instance, has been proven to inflict severe damages with the first dose and even poses a significant risk of sudden death. You might not even have the chance of trying it twice. On the same note, crack cocaine, and other similar narcotics may trigger the addictive behavior starting with the first try. “I have a strong, healthy organism; I won’t get addicted” – That’s also entirely false. It doesn’t matter how resilient or healthy you are; narcotics will function in the same manner, by attacking your nervous system. It will affect just as easy because drugs don’t discriminate. “If he/she tried and it all went fine, I can do it too” – Every Denver treatment center is filled with people who took this reasoning for granted. Drugs affect different people in different ways and, as a plus, everything will not be going fine in the long run. Not by a long shot. “I can stop using drugs whenever I want” – Believing that addiction holds no power over you is probably the most dangerous mentality of all. After addiction sets in, you will have ways of dealing with it, none of which resumes to sheer willpower. You will require medication and clinical detoxification, behavioral therapies and psychological assistance on top of that. Drugs are as dangerous as they are because of people being ignorant with regards to their real dangers. Not only that drug use disorders will break you physically and psychologically, but they will end up ruining you financially, affect your family and friends and render you unable to function in the society. Drug addicts develop erratic and dangerous behaviors, display impaired cognitive abilities and lose their jobs, along with the support of the loved ones. This shows that the damages can go to large extents and that the rehabilitation process will most likely be complicated, last for a long time and with uncertain results. 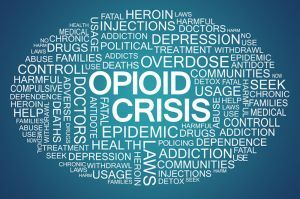 Opioid addiction is extremely dangerous and patients reaching this stage need professional assistance in a top Denver treatment center like Continuum Recovery Center of Colorado. The rehab programs have been designed to cope with all aspects of drug addiction, and they might be the individual’s last chance to a healthy and drug-free life.